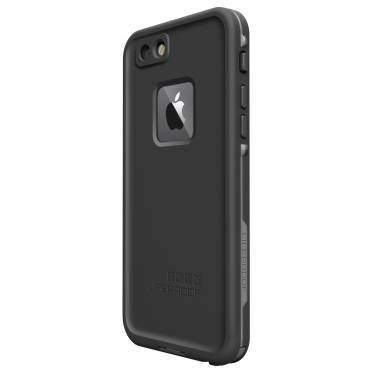 Check out the LifeProof Fre for the iPhone 6! Best phone cover for me as a contractor. I've purchased at least 20 of these cases in the last 6months for colleagues at work as I work at a food manufacturing plant which is glass free. These case are brilliant at protecting the phones but also, in the event of a drop; they also protect our product should the phone be damaged. To be honest, there have been a couple of drops but the cases have taken the impact brilliantly and so a couple of people have replaced cases due either to drops or from general wear and tear but the phones are all still intact. I've dropped a star for quality as I've seen a few cases where the seal has broken around one of the side buttons and this did not happen with the iphone5 cases we had previously. I've recommended this site as the place to buy these cases, if people want them for their personal phones. THE DELIVERY TOOK ABOUT THREE WEEKS EVEN THOGH THE INITIAL COMMUNICATION CLAIMED IT WOULD BE TWO WEEKS. I PAID STANDARD DELIVERY OF £2.00 BUT ON DELIVERY I HAD TO PAY AN ADITIONAL £8.40 FOR POSTAGE AND CUSTOM DUTY. IT WAS NEVER MADE CLEAR THAT THERE WAS GOING TO BE THESE ADDITIONAL CHARGES AND THEREFORE I DID NOT HAVE ENOUGH INFORMATION TO MAKE AN INFORMED DECISION WHEN ORDERING THE GOOD. HAVING SAID THAT I THINK THE QUALITY IS GOOD.